A few months ago, the task was set to translate some of the stunning episodes of an Israeli investigative journalism series on The Muslim Brotherhood in the Western World. So far, part 1 of The USA, and part 1 of the Islamic Brotherhood’s growing control over France have been subtitled in English. 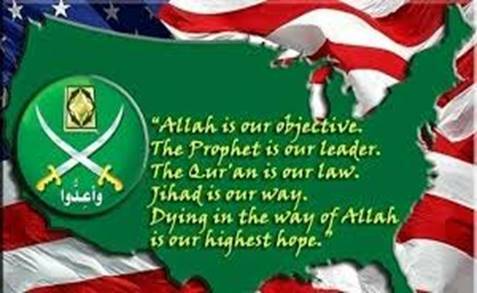 Now, part 2 of The Muslim Brotherhood in the USA is available to be seen, and it is as important as it is disturbing. Please make an effort to try and watch the critical 40 minutes of exposure of the Islamic plan to dominate and dismantle the United States as a constitutional republic and replace it with an Islamic Shara law, Caliphate. Special thanks to RL for all the hard work in the translation that went into these (so far three) reveals on Islam, its ambitions and actions to dominate the Western World.